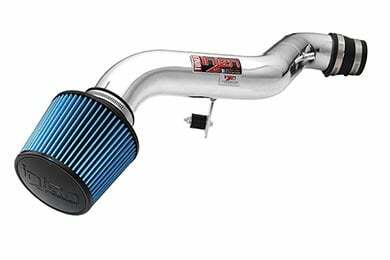 Injen IS1565P - Injen IS Series Short Ram Intake - FREE SHIPPING! this intake looks amazing and sounds even better. when i first put it on and went for a test drive, my expectations were completely and utterly destroyed. it sounds like a real preformance part! not only that but it seems to have greatly increased my fuel economy as well. 10/10! This is a great product! Cheap! Installation was so easy and took less than an hour! Looks awesome too! As soon as I put it in and took a test drive, I could feel the car pick up a bit more and a little more power. Even the sound is great. The throttle response seems better too. Overall, I love this product and I'm very happy with it. I like the intake and it works as advertized, but one thing that is not as advertized is the 90 degree elbow that comes with this intake. Instead of the Metal plentum, a 90 degree rubber elbow comes and causes a taller that expected installation height that rides on the tower bars i have installed. This is direct from INJEN, and is not the distributors fault, but none the less it is annoying when it specifically tells you to buy this intake so it will fit with the tower bars, and then you get it and it is a different design and it does not fit 100% correctly with the tower bars, it rubbs quite hard. I installed the Injen IS Series Short Ram Intake today on my 2002 Civic EX. The install took about an hour and I'm by no means a professional. I love the sound it gives my off. My engine now has a deep growl to it. The instructions were pretty good as well. The only issue with them was they would miss like one bolt on the removal of the stock intake. The instructions said two bolts when it was actually three or one when it was actually two. Very minor issues that were easily solved because you could clearly see where the other bolts were. I just reset my trip meter and filled up so I'll get back to you with a gas mileage update. I have noticed a little more power though. Now my care doesn't hesitate to kick into a passing gear. Overall, Great Product. 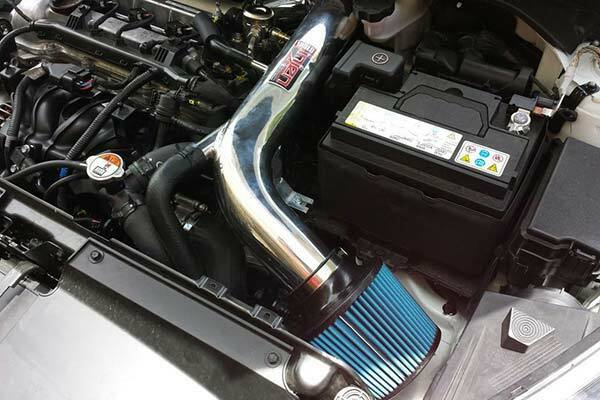 This injen short ram looks great! With a manuel trans,i can feel the difference with acceleration between shifting...it was also an easy install!! 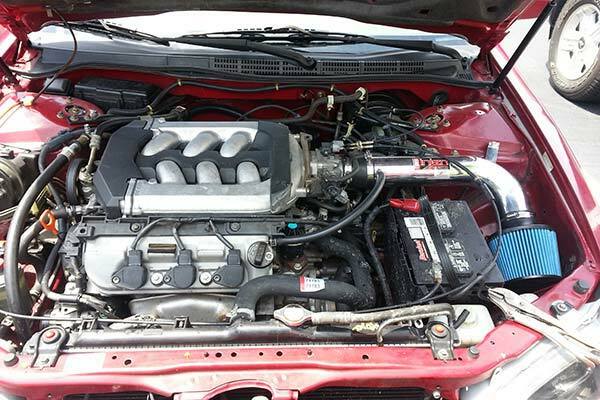 Great piece for a good price..
Easy little power and gas milage boost. 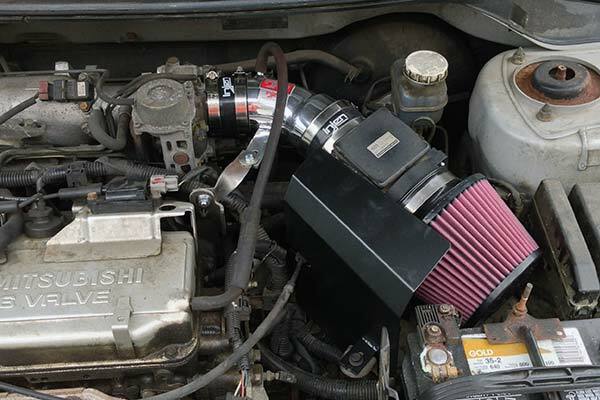 There is nothing wrong with this intake for what it does. A great little improvement to any vehicle. I am bothered by the fact that the picture representing it for my 2003 honda civic lx is wrong not only on this website but the manufacturers also. I bought this thinking I would get the cast metal piece which mounts closer to the engine, allowing me to install my strut tower bar. Instead it came with a silicone elbow making the unit stick up just far enough for an interference fit. After talking with injen support they informed me that this is a re-design and the one with the cast piece is no longer available. Should have bought this 5 years ago when I first wanted to. I wanted something that increased throttle response, and more importantly improved fuel economy. I know it has helped my car be a little more peppy, and I want to say it runs smoother and is now getting a little more fuel economy... I have had it for about a month and I haven't filled up yet, so I don't know for sure yet...but it sounds great! I initially wanted to get an AEM, but they didn't make if for my HX, so I went with the Injen. The take-off in first gear is much better and transitions smoothly when engaging cluth to throttle. The only real complaint is that it didn't come with the right amount of hose clamps, and the directions were very difficult to understand. Fortunately, I've worked on a lot of cars before and I kinda understood what it took to make it right. If Injen wants to compete with AEM and others, they need to first revamp their directions of installation... this would alleviate much of the initial frustration of installation. All in all, I think it was well worth the cash. I think it looks great, too. Install was ok, good thing I had someone with me who was experienced though. It took about 45 minutes to install but by myself it probably would have taken about 3 hours (there are some trick parts). I downloaded the AEM instructions since they tell you how to remove the old air intake and the Injen instructions don't. Otherwise the install is pretty striaghtforward. The added power isn't hugely noticeable, but I didn't expect miracles and there is a boost. The sound is great though. After I installed the Injen IS series, i could feel the extra power of my car. must buy! you will never regret! bought this for my 04 EX. Didn't sound as great as the other people stated, but then again i didnt know what to expect really. Noticeable pickup as soon as i installed it and definitely worth the cost. Installation wasn't too bad as long as you refer to the photos a lot. Worst part was taking off all the stock stuff. All you need is a rachet set and some patience and you are in good shape. Everything fit as planned. Definate increase in HP and MPG. Awesome sound too!!! Evers since this was installed i've notice a little boost that makes me just wanna step on the gas pedal more and more. Excellent Item, easy installation great performance great, great product. Reference # 753-049-564 © 2000-2019 AutoAnything, Inc.